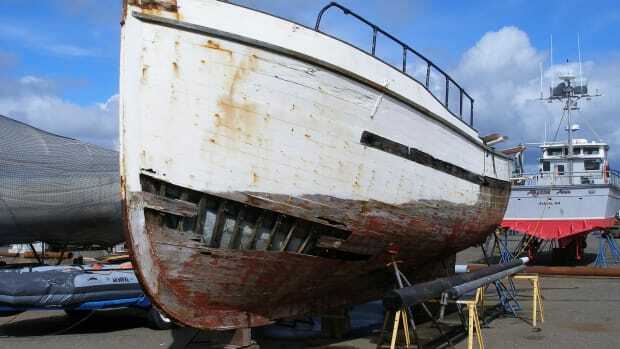 When it comes to yachts, 'classic' is in the eye of the beholder. This year is Ocean Reef Club’s 19th annual Vintage Weekend, a four-day event showcasing classic automobiles, aircraft and yachts. From Thursday, December 5 through Sunday, December 8, members and guests will gather for a variety of activities such as a costume dinner and dance, a yacht hop, a road rally, a beachfront reception and an airshow. 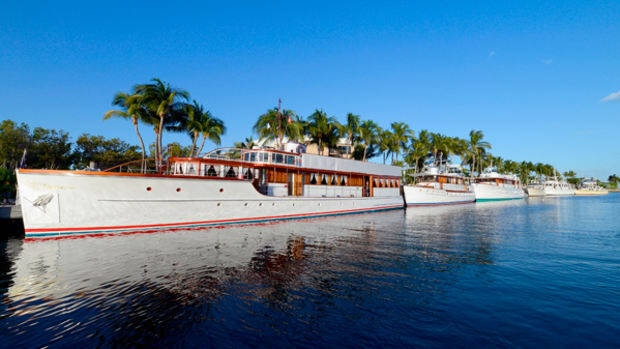 It was the classic boats, including the restored presidential yacht Honey Fitz that attracted us to the 2012 Ocean Reef Club Vintage Weekend. 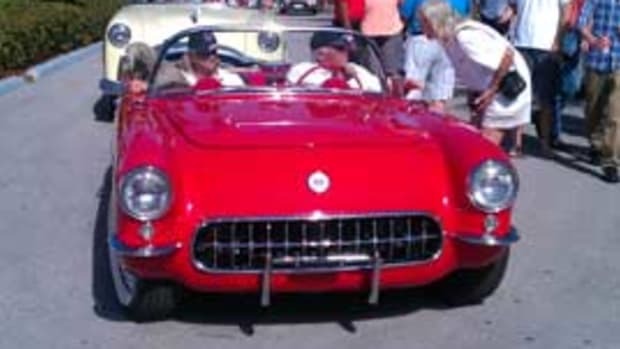 But Classic Weekend is also about planes and cars and they contribute their fair share to this exciting event, which takes visitors back in time. We’re edging closer to the end of the year, but before we celebrate the beginning of 2013, there are a few notable events to make sure you don’t miss. 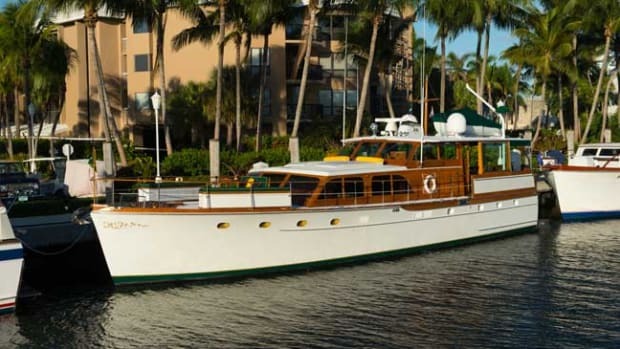 One of them is Ocean Reef’s long-standing Vintage Weekend in the Florida Keys. Hosted at the Ocean Reef Club from November 29 to December 2, this event showcases classic yachts, aircraft and automobiles. 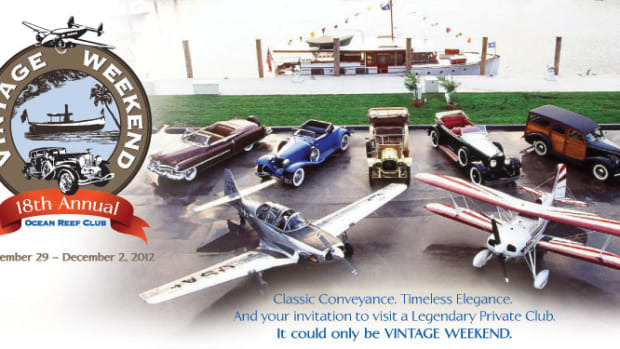 Vintage Weekend, a long-standing tradition at the Florida Key’s Ocean Reef Club, returns November 29 to December 2, 2012. Each year the event showcase fine classic yachts, aircraft and automobiles. 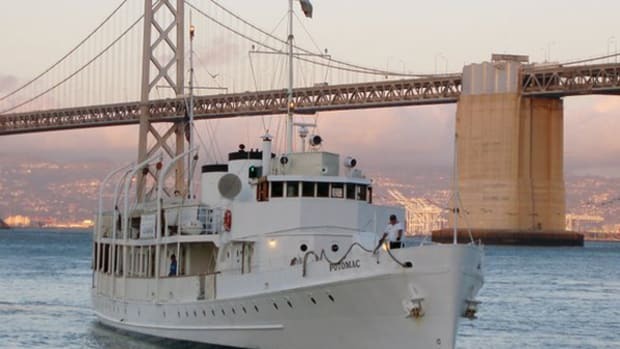 The 18th edition of the Vintage Weekend’s headliner is likely to be a famous former presidential yacht, the Honey Fitz.